Meaningful positive story that leads to change and flow is beautiful! 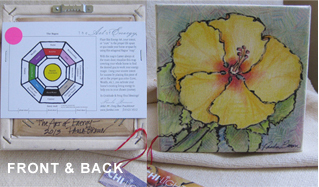 To help you “be more” I offer you tools in the forms of books, Quick Sketch records, AND art that moves environmental energy. 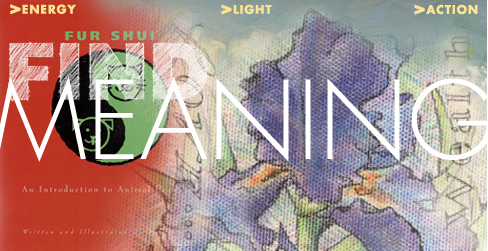 Take a lighthearted romp through the world of energy or “chi” following the Black Hat school of Feng Shui. 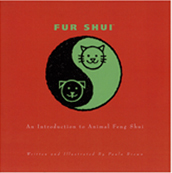 A primer and guide for all you need to know to make some good changes in your environment, as seen from the wisdom of our animal “chi masters”. $200.00 for each…plus tax and shipping choice. Pay by Paypal custom invoice. Examples below. Call or email Paula for details, availability, or request for custom color (only for “bagua” colors) orders. “where” to place in your home.